Der står faktisk... "grain and malt distillery"
The Single Malt will be going online in the next 24hrs. There's only 2011 bottles and these are being pre-sold online. £150.00 plus p.p & insurance. For Europe and further afield contact the distillery direct. Casks numbered - 2. 4. 5. 6 & 7 American Oak, bourbon casks some of the first to be laid down when the distillery started production in 2008. Ja, 150 £ er nok 3 gange så meget som kunne forventes for en halv liter.! Tasting videos med John Glaser, hvor han fortæller om 5 af deres whiskyes. The expressions' first stage of aging is in American oak barrels - sourced from parent company Beam Global's bourbon brand Maker's Mark - and is then matured for seven to nine months in 19th century-style quarter casks. According to Laphroaig, the maturation process is "similar to Quarter Cask", launched in 2004, and is the "marriage of peat, oak and sherry notes"
Last year's release was given a liquid gold award and a 97.5 rating in Jim Murray's 2011 Whisky Bible. This 2011 rye whiskey release is described as "intense spice with underlying sweetness and dry finish." Hopefully critics agree this batch is just as good, or better! The previous edition of this bourbon was honored with a Gold Medal at the 2011 San Francisco World Spirits Competition. The 2011 edition was distilled in the Spring of 1993 and has been aging on the 2nd, 3rd and 6th floors of Warehouses I and K. After 18 years and 7 months of aging under its belt, it brings to the table notes of leather, vanilla and tobacco. The 2010 release of this long-time favorite was named "Spirit of the Year" by F. Paul Pacult in the 2011 Spirit Journal. The 2011 George T. Stagg was found in Warehouses H, I, and K. This uncut, unfiltered bourbon was distilled back in the winter of 1993 and weighs in at 142.6 proof"”some bold stuff! This whiskey tastes of espresso, chocolate and vanilla. William Larue Weller is the Antique Collection's uncut, unfiltered, wheated recipe bourbon. The previous edition was named "Bourbon of the Year" in Jim Murray's 2011 Whisky Bible. The 2011 offering was distilled in the summer of 1998 and aged on the fourth and fifth floors of Warehouses N, O, and P. This William Larue Weller release registers in at 133.5 proof "“ a lot stronger than last year! It tastes of honey, caramel, light toffee and pipe tobacco. Thomas H. Handy Sazerac Rye is an uncut and unfiltered straight rye whiskey. The 2010 edition was named "Rye Whiskey of the Year" by Jim Murray in his 2011 Whisky Bible. This year's Handy was distilled in the spring of 2005, aged on the sixth floor of Warehouse K and weighs in at 128.6 proof. The flavor has been described as "Christmas cake and allspice. Bold and yummy." But now comes the grandest Royal Salute to date, the Royal Salute Tribute to Honour, inspired by the Honours of Scotland, the oldest crown jewels in the British Isles. First used at the coronation of Mary, Queen of Scots in 1542 and now housed at Edinburgh Castle, the Honours of Scotland consist of an elaborately jeweled crown, scepter, and sword. These three heraldic symbols have been captured in gold, silver, and 413 flawless black and white diamonds on 21 porcelain flagons hand-cast by the French firm Revol. The gemstone and precious metal design itself was created by Garrard, the world's oldest jeweler, established in London in 1735. But the blended Scotch whisky inside each of these decanters is just as flawless. At $200,000 each, the Royal Salute Tribute to Honour is the most expensive Scotch whisky in the world, but for some, it will be well worth the price. It is composed of single malts, none of which is less than 45 years old, and each was carefully selected from the Royal Salute Vault at Strathisla distillery by Colin Scott, Chivas Regal's master blender for the past 21 years and, so far, the only man who has tasted this rare blend. All that he revealed at the June 11, 2011, black-tie launch in London was that single malts from both bourbon barrels and sherry casks were used. Det er altså ikke indholdet, men flasken der er fokus på. Mon den kommer på bud i Kvickly? This is, of course, single pot still whiskey (ex-pure pot still). Colour: pale gold. 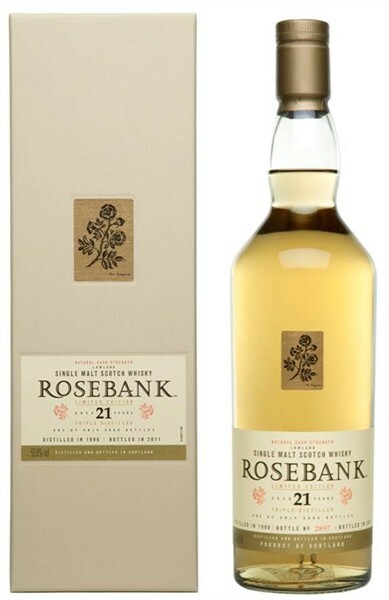 Nose: this baby is more talkative, more explosive than the old Jameson, starting with the same notes of melon and apples but also more chewing-gum (Juicy Fruit), bananas flambÃƒÂ©ed"¦ There's also quite some cut grass, and then more and more sultanas, with touches of sherry. And it's not ‘brutal' at all. With water: its funny how it resembles the regular 12 now. I really like the way it displays more herbal notes now, pine sap, mint"¦ Mouth (neat): once again, this is quite explosive, very citrusy and very spicy. Pepper and oranges all over the place, then a little more cornflakes and barley sugar. Pretty pretty good, as Larry would say. With water: more tinned fruits (pineapples, maybe litchis) and more mint as well. Lovely. And a little bubblegum, Finish: long, with more pepper and cinnamon. Comments: all pleasure here, it's all very fresh and full-bodied. I had feared the high strength would have made it too bubblegummy but it's not, at all. SGP:651 - 87 points. Så er der måske chancer for at Charles Medley også bliver solgt og genåbnet ! European Whisky of the Year (Multiple) - Mackmyra Moment "Urberg"
Ifølge flere blogs, har denne melding nu gjort at flere at de store forhandlere melder midlertidig udsolgt af OP 21. Godt for Old Pulteneys omtale og afsætning - skidt for de virkelige entusiaster som i årevis har drukket "undervurderet" whisky fra dette pragtfulde destilleri. We are delighted to announce the arrival of our third release of Bowmore Tempest. A violent windstorm, frequently accompanied by rain, snow, or hail. Every year we release a small batch of Tempest to bring you a little taste of a wild, stormy Islay day. Each non chill-filtered batch is a little different one year to the next but will always reflect our raw spirit and is reminiscent of tasting a dram straight out of the cask in our legendary No.1 Vaults here on Islay... A first fill Bourbon cask that is. Our newest release of Tempest has delicious notes of Seville orange zest coupled with Islay peat smoke, sweet vanilla and barley sugar. We suggest you try it with a piece of rich, dark chocolate to release the sweetness and depth of the spirit "“ magical! 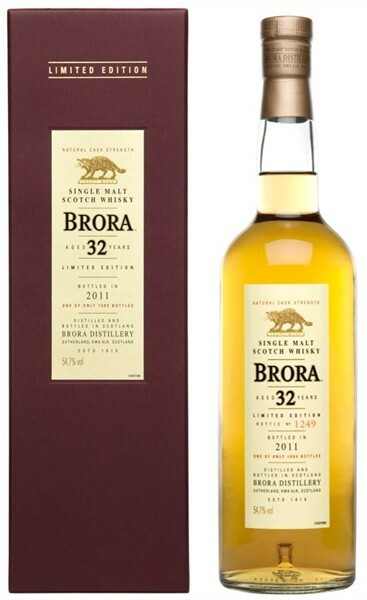 Diageo are planning an ''Ultra-exclusive'' Brora in 2013; to recognise 200 years since the start of the Sutherland clearances. It is likely to be two casks maximum. They are planning on incorporating some of the copper from the recently dismantled worm-rubs (which happened to be rotten) into the packaging. There will also be a Clynelish bi-centenary bottling (2casks) in 2019... Don't hold your breath! 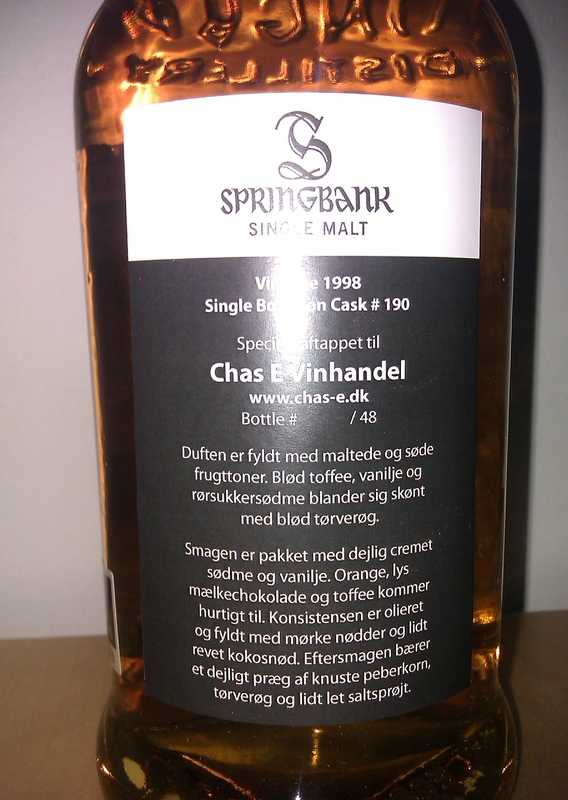 Hvis man er til Springbank Bourbon Wood, så har Chas E i århus fået aftappet nogle flasker.